West Bexington is a small coastal village between Burton Bradstock and Abbotsbury, thirteen miles west of Dorchester and Weymouth and six miles south east of Bridport and West Bay. 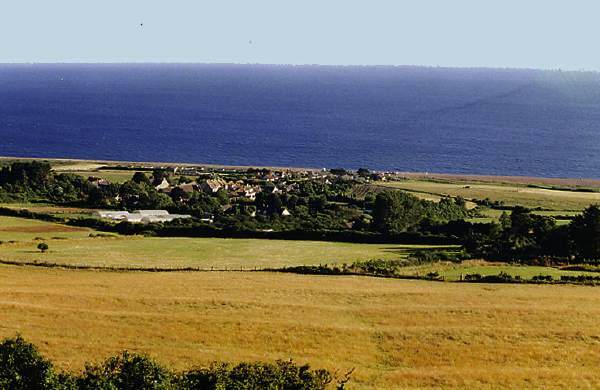 The village is on a hill that slopes down to the unspoilt Chesil Beach. On a clear day views extend from Portland Bill in the east, around Lyme Bay including Golden Cap (the highest cliff in the south of England), past the red cliffs of Devon, across to Dartmoor and right round to Start Point in the west. The views are magnificent. With its unique geology, spanning the epochs from Triassic to Cretaceous, the coastline, popularly known as "The Jurassic Coast", has stunning and ever-changing cliffs and bays, and the world famous Chesil beach. From Exmouth to Swanage, our coast is Britain's first natural World Heritage Site. Fifty years ago, to protect the landscape, the National Trust bought land on the coast, including much around West Bexington. In fact, a large proportion of our farm is rented from the National Trust. On our home farm there is a Nature Reserve with a reed bed and a rich population of birds. It is designated an SSSI - a Site of Special Scientific Interest and 70 percent of the farm is a SNCI - Site of Nature Conservation Interest. The Chesil beach runs for fourteen miles from Portland in the east where the pebbles are large, round to Bexington which has fingernail sized pebbles, and on to Burton Bradstock, where there may be coarse sand. The beaches at West Bay, Seatown, Charmouth and Lyme Regis may also have coarse sand and at low tide have rockpools.The best sandy beach is at Weymouth, where there is a wide stretch of fine sand and shallow waves, ideal for young children to paddle. At Bexington the sea is deep and there are no currents, bathing is good for confident swimmers, but it is very dangerous when stormy. With the beach running several miles between coastal villages, naturist sunbathing and swimming is informally accepted in the quieter areas. The Dorset coast, particularly around Charmouth, has an international reputation for fossils of the Jurassic age and anyone might find anything from a tiny ammonite to an icthyosaurus! 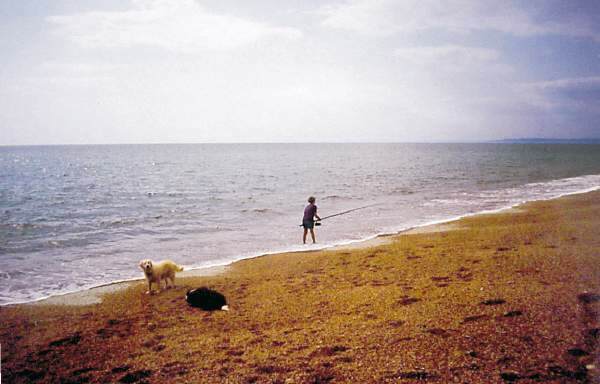 Chesil Beach is an excellent and well known fishing beach. Mackerel are caught in the summer. Autumn is the richest time with bass, cod and plaice often being caught. Dabs, flounders, pouting, bream, whiting, dogfish, skate, gurnard, monkfish and sprats may also be caught. 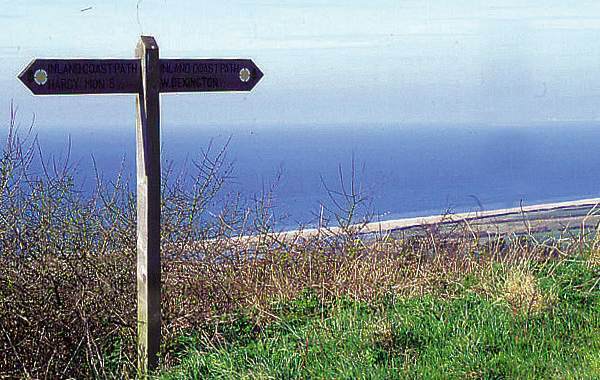 The coastal strip is well served by a network of signposted footpaths; and the South West Coastal Footpath runs along the whole beach with an inland branch running up through West Bexington. Hilltops have spectacular views, and often have a particular historical or conservation interest. There are many good walks running inland through the lovely villages of the Bride Valley. The whole area is renowned for the number of birds, both resident and migratory. Several years ago, the Head of English Heritage was staying in one of our cottages - and he said that he had never seen so many species of birds in one garden anywhere else! West Bexington is a convenient centre for trips by car westward to Burton Bradstock, Bridport, Charmouth, Lyme Regis and the Devon coast; and eastwards to Abbotsbury with its Swannery and subtropical gardens, Weymouth, Portland, Lulworth Cove and Purbeck. Inland we have many prehistoric remains, famous hill forts such as Eggardon and Maiden Castle and Roman remains in Dorchester. There are several excellent local museums and other specialist museums such as Bovington Tank Museum, and the Tutankhamen and the Dinosaur Museums in Dorchester. There are several stately homes in the area, as well as a monkey sanctuary and a butterfly farm. There are all sorts of entertainments for children in Weymouth and elsewhere, including Cricket St. Thomas Wild Life Park. 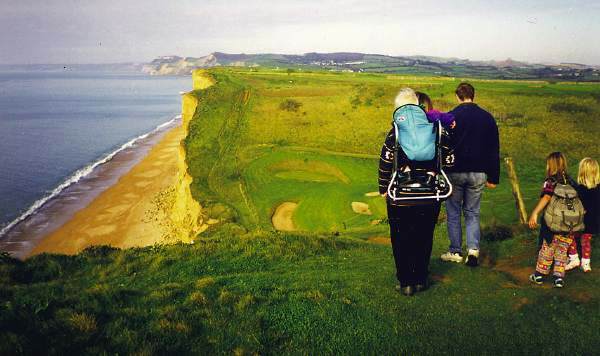 There is a golf course near Bridport, and several riding centres in the area. Pets are welcome in all the cottages. Dogs can be quite free around your cottage and, by arrangement, on many parts of the farm. 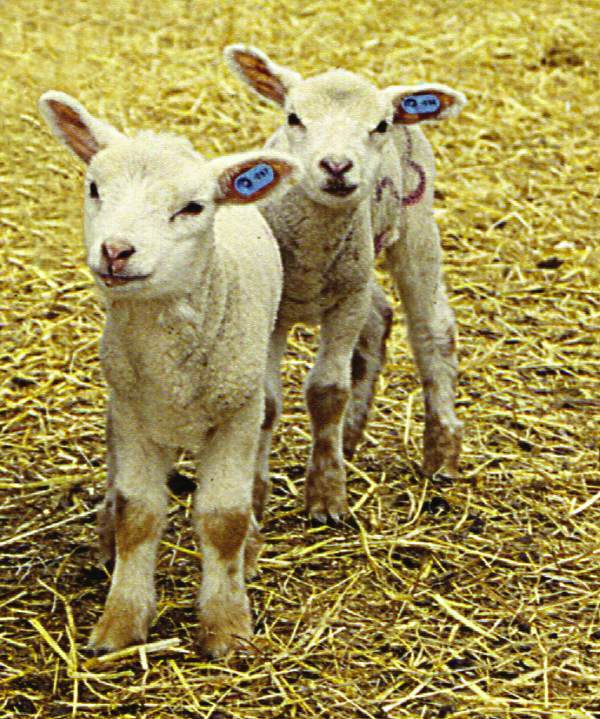 Seasonal circumstances such as lambing or growing crops dictate where you can actually go and when your dogs must be on a lead. Bexington beach is open to dogs all year round. West Bexington boasts a small cafe shop just behind the beach offering excellent coffee. At Burton Bradstock, three miles away, there is a post office and provision store and a Spar shop (7:30am-9:00pm opening times) at the garage. There is also our farm shop, open on Fridays 8:30-11:00am and Tuesdays 4:00-6:30pm, selling organic meat, flour and vegetables. The nearest supermarkets are in Bridport six miles away. Bridport, Dorchester and Weymouth are good shopping centres and boast interesting markets: Bridport on Wednesdays and Saturdays, Dorchester on Wednesdays and Weymouth on Thursdays. Nearly every village has a pub with good food and Bexington has its own Manor Hotel with a bar and restaurant of high reputation. Be prepared for anything: crystal clear skies, sunbathing at Easter, rain, sea mist, the occasional storm in August, or possibly golden autumns when the sun is at its warmest! So please remember to bring clothing that will allow you to enjoy all weathers - Wellingtons, warm sweaters and rain gear may be required at any time. We farm organically six hundred acres with a flock of Dorset Down sheep, and a few Hebridean and Shetland sheep (both are rare breeds). We also have a herd of North Devon Ruby Red beef cattle and calves, Shire mares, and Welsh ponies. These animals graze land that is managed carefully to benefit the wildlife and we are proud to have a great range of habitats supporting an abundant variety of flora and fauna. If you walk the footpaths quietly you may see deer and hares and you are very likely to see rabbits (grazing the grass we need for the stock! ), buzzards overhead and skylarks ascending. 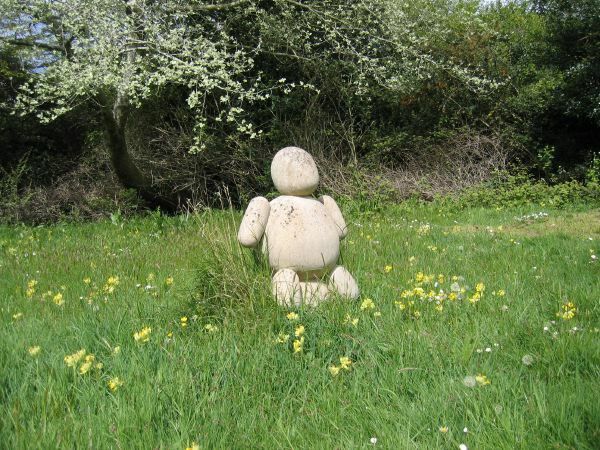 There are also plenty of wild animals that you are less likely to see, including dormice and great crested newts, slow worms and adders, and badgers and foxes. Resident birds include reed buntings and cetti's warblers, little owls and ravens, to name but a few. 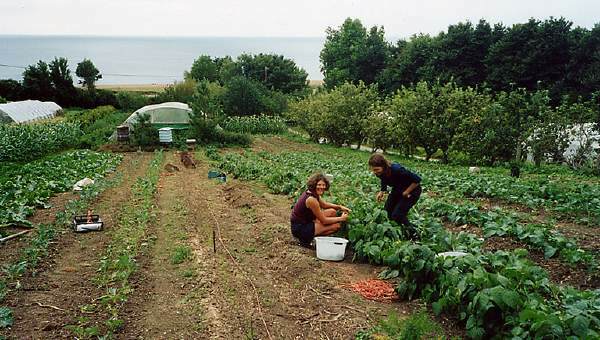 We have a small market garden with fruit and vegetables and about thirty-five acres of arable crops. We mill our home grown wheat and rye on the farm, producing wholemeal, stoneground flour. We provide hampers of vegetables in season on request and have flour and meat available for you to order before you arrive (you can place an order online when you have made your booking or we can send you an order form when we receive your final payment). Additionally, you can buy our food during your stay and at the end of your holiday to take home with you. On our farm you can feel relaxed with your children and your pets. Remember that we are a working farm, so the animals are not like pets. We and our helpers are usually in the market garden busy cultivating, planting, weeding or picking, and might welcome a break chatting with you about methods and extending our ideas! (We are members of the Soil Association and the HDRA). Or you may come here for a very quiet time - in that case we will say hello when you arrive, and goodbye when you leave! Copyright © 2006-2016 Josephine Pearse. All rights reserved. Web site created by Samuel Simon.